Cesar Hernandez has been sidelined for two weeks with a hip-flexor strain. TAMPA -- Cesar Hernandez and Odubel Herrera are both on track to be ready for opening day, but only one of them has a spot secured in the starting lineup. Hernandez, sidelined for two weeks with a hip-flexor strain, will start at second base on Thursday against the Pirates. Herrera is expected to be the team’s designated hitter on Saturday against the Astros for his first action of spring after he suffered a hamstring strain early in camp. Both played Wednesday in a minor-league game. “That’s a realistic scenario for us, to have both of those guys on our opening day roster, ready to go, fully healthy, timing where it needs to be, feet underneath them,” manager Gabe Kapler said. Hernandez is entrenched as the team’s starting second baseman, but Kapler said Wednesday that Herrera is still competing for the starting job in center field. It would be a surprise if Herrera proves to be healthy and does not start the season in center. 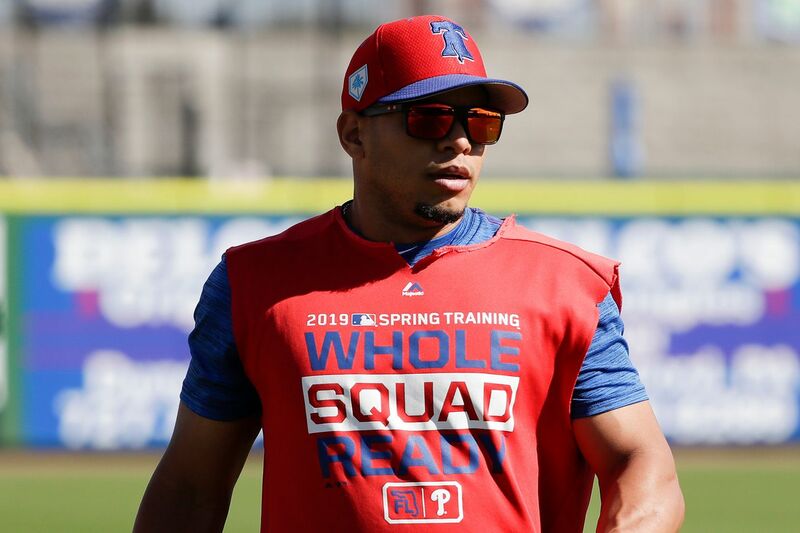 In theory, he’s competing for the job with Aaron Altherr and Scott Kingery, who has spent time in the outfield this spring to add to his versatility. At the beginning of camp, Kapler placed Kingery into a competition with Maikel Franco at third base. That race, Kapler said, is unsettled. Franco not starting at third would be an even bigger surprise than Herrera losing the competition in center.